Tuesday 13th July marks the twenty-fifth anniversary of Live Aid. The “global jukebox”, devised by Bob Geldof and Midge Ure, was held simultaneously in Wembley Stadium, London and John F. Kennedy Stadium, Philadelphia and viewed by an estimated two billion people across the globe. The aim of the concert was simple; to raise money for the millions of Ethiopians struck by the devastating famine of 1984. The result was over £150 million raised for famine relief and a defining television event marking the generosity of millions. Its easy and indeed reassuring to look back, twenty-five years on, and think of the event as the day the “developed” nations and publics of Great Britain, America and others got together and said NO to starvation, suffering and death amongst some of our poorest neighbours; but did the event really make much of a difference? To mark the anniversary, celebrities, activists and charities are once again joining together in a renewed call for aid, since the situation now is as bad as ever. To quote Colin Firth on East Africa “These people are facing another food crisis. A dangerous storm of factors, drought, conflict, poverty and rocketing food prices, are pushing people over the edge. Oxfam needs public support to avert catastrophe and keep people alive” (Mirror.co.uk). International aid, poverty and global development remain critical issues in our world today. Indeed international aid and the NHS were the only two areas protected from the savage cuts of Britain’s new coalition government. 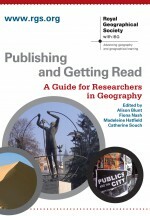 Geographers have also written extensively on the subject. In recent months Paul Milbourne has provided a critical review of the recent geographical work on poverty and welfare and William Gould has asked us to reconsider our understandings of links between HIV/AIDS and poverty in Africa, questioning the nature of our aid policies. As the decades pass and the preventable deaths multiply, it’s becoming abundantly clear that throwing money at the issue does little to help; furthermore the very act of doing so has become ‘big business’ in itself as Linda Polman‘s new book illustrates so painfully. So what are the solutions, if they even exist and what can geographers do to help? Gould, B. 2009. ‘Exploring the Anomalous Positive Relationship between AIDS and Poverty in Africa’, Geography Compass, 3 (4), pp. 1449-1464. Milbourne, P. 2010. ‘The Geographies of Poverty and Welfare’, Geography Compass, 4 (2), pp. 158-171. For further information regarding the 25th anniversary of Live Aid see The Daily Mirror. For further information regarding Linda Polman’s work on the aid industry see The Sunday Times. This entry was posted in Geography Compass and tagged Africa, Britain, British General Election, Climate science, Cultural Geography, debt, Development, drought, Economic Geography, environment, Environment and Society, Europe, geography, Geopolitics, Global Issues, globalization, London, media, Migration, place, Political Geography, politics, Poverty, Representation, Social Geography, United Kingdom, water on July 13, 2010 by ALP.